Even as a very young child growing up in Hong Kong, I had heard of The Peninsula Hotel on the Kowloon side. I knew that it was an expensive and exclusive hotel back then even though I had never even seen nor stepped foot in the establishment. I left Hong Kong when I was eleven, and it was not until my mid twenties when I went back to work there, that I had finally got a chance to visit the famed Peninsula Hotel and to be impressed by its grandeur and its elegance. Fast forward to present day Los Angeles. 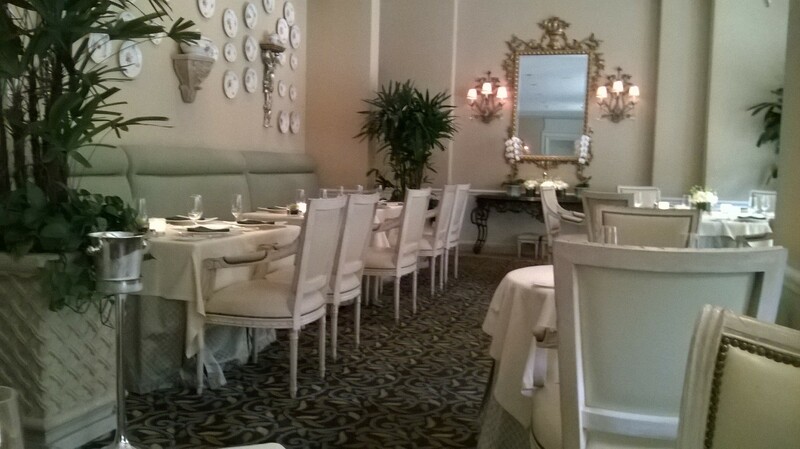 I have been living here for about 20 years now, and even though I had passed by the Peninsula Hotel here in Beverly Hills a number of times on the way to Rodeo Drive, I did not ever think about having a meal there since I figured the price would be so out of my range of affordability. Fortunately, while browsing through the Travelzoo website, we noticed there was a deal for the Belvedere Hotel at the Peninsula Hotel for $99 dinner for 2 for a four course meal. Though the price was not cheap, we figured that it might be worthwhile to try since it is The Peninsula Hotel. The hotel lobby, while not grand, exuded class and refinement. There was an air of sophistication and poshness. To be honest, I was rather skeptical about going in since I did not want to be disappointed by these “expensive, fancy” restaurant. 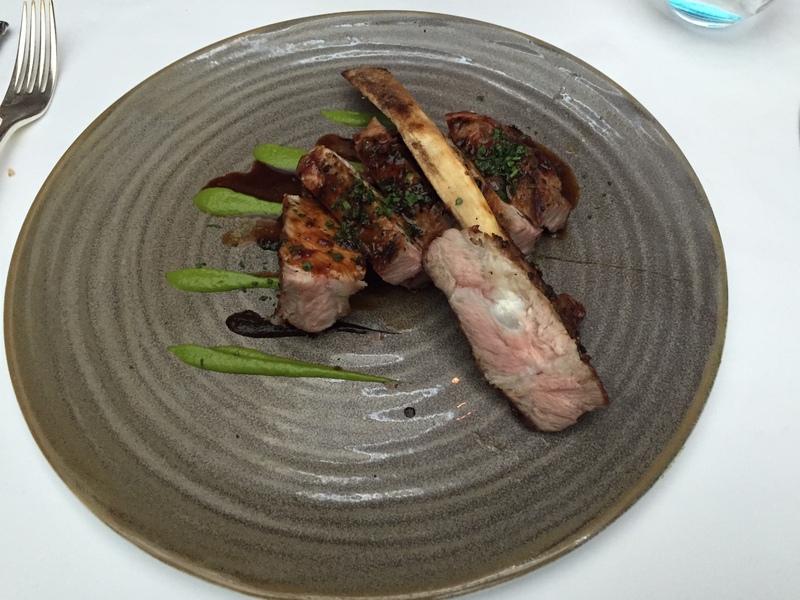 To my total relief and delight, I was not one bit disappointed, in fact, the food and atmosphere exceeded my expectations, all the dishes were top-notched, impeccably prepared, exquisitely and complex in taste. 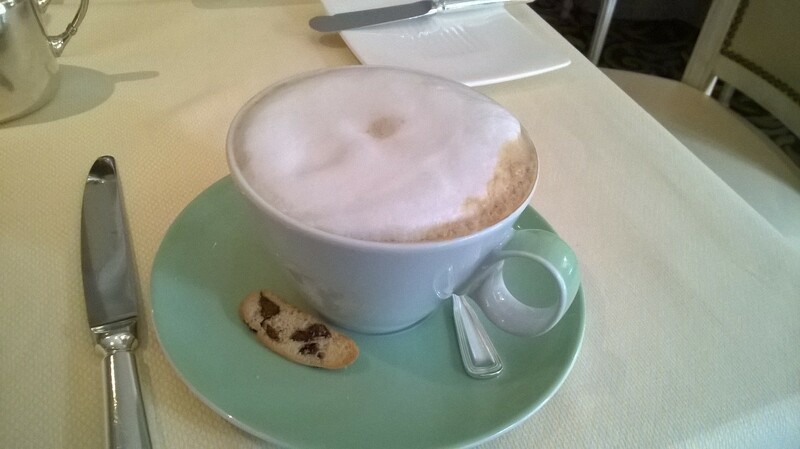 Since I was a bit intimated by the not-so-friendly looking waiter when he asked if I wanted something to drink, I reluctantly ordered a cappuccino, and a hot water. 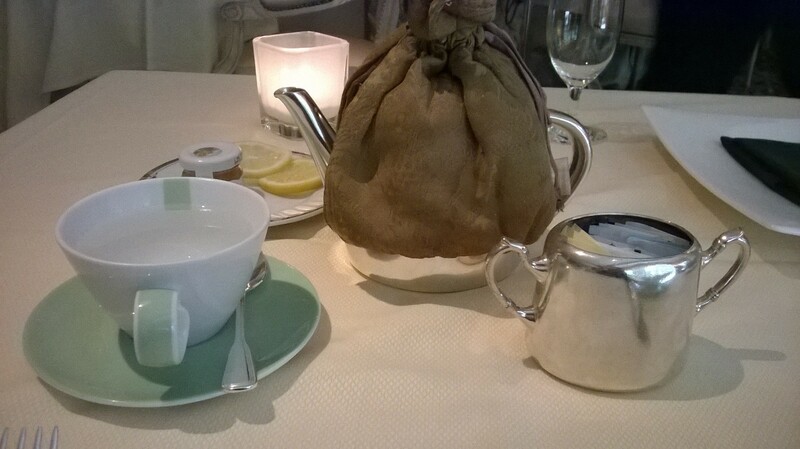 The water came in a fancy teapot with a small bottle of honey and lemon slices, and the cup and saucer for two beverages were beautifully designed modern porcelain ware. 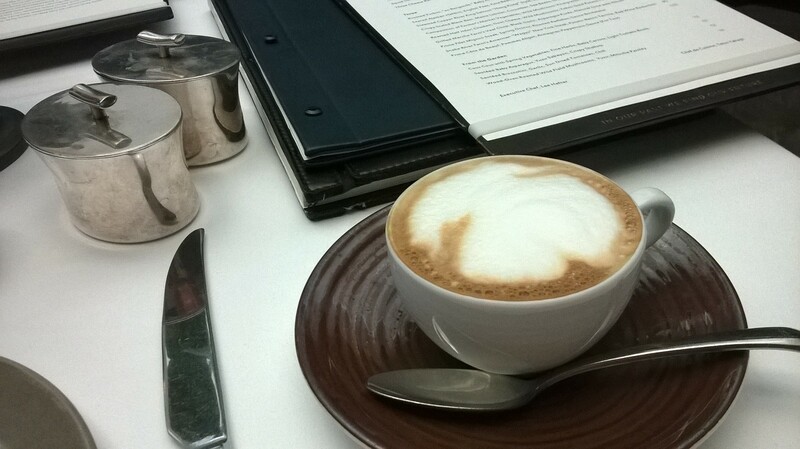 Being that I had dabbled for a number of years in ceramics, I was much impressed and was admiring the pieces while sipping on perhaps the best and the largest cup of cappuccino I have had. 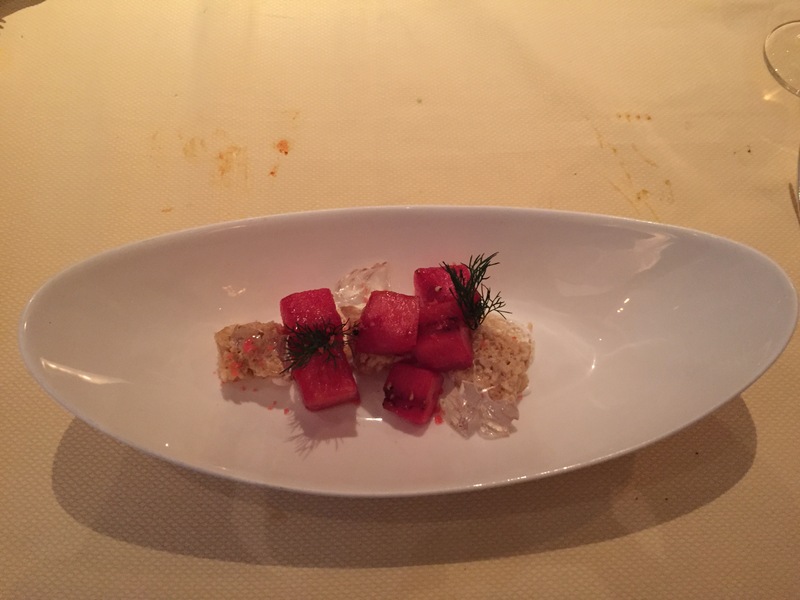 The menu consisted of a Cucumber Gazpacho, Roasted Stuffed Eggplant, a Silver Queen Corn Pappardelle for my entree, while my companion had the California Cioppino, and a Mint Chocolate Parfait and the Grilled Watermelon Salad for dessert. 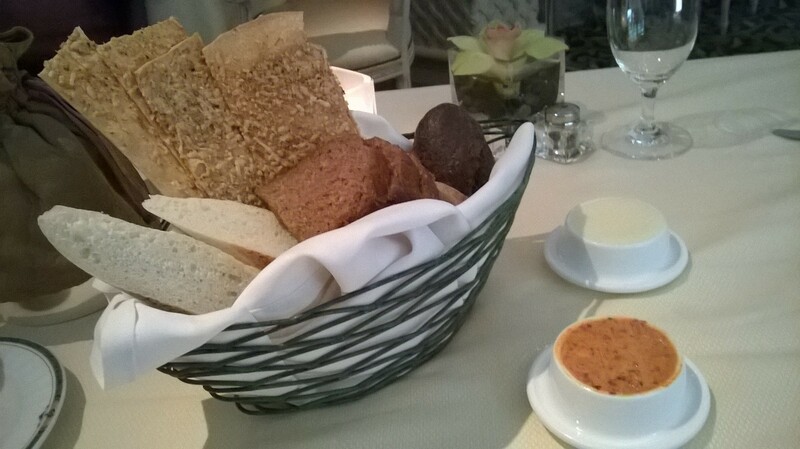 The bread basket came with five different varieties of bread, all of them fresh, warm, served with a sun dried tomato butter and regular butter. The slightly sweet zucchini bread was the best. The four different types that I tried were all distinct and worthy on its own. 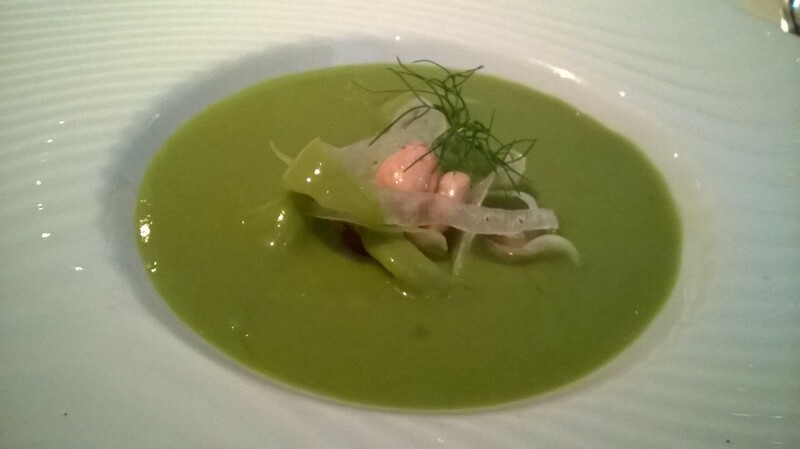 The Cucumber Gazpacho was rich, creamy, with excellent depth of flavor. The fillings inside the eggplant were slightly crunchy, while the eggplant was moist and delectable. 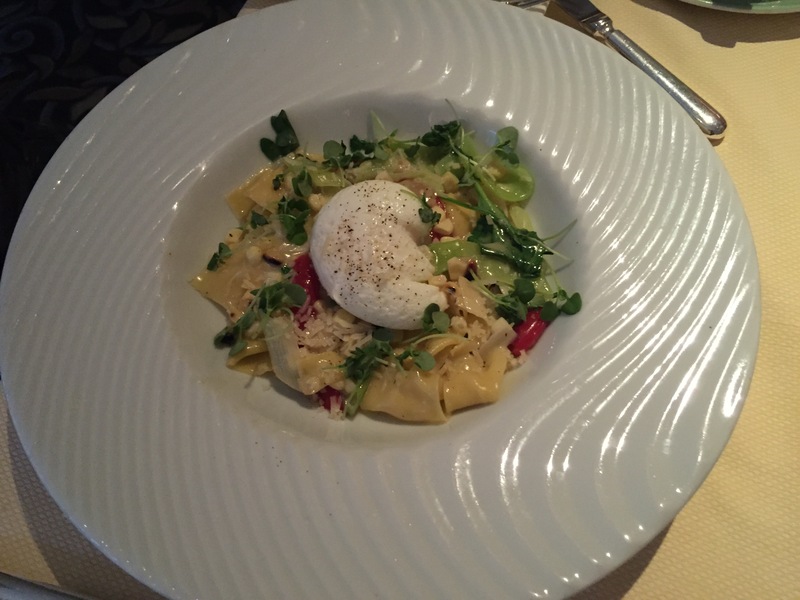 While my pasta seemed like a simple dish, it was flawlessly prepared and the taste was light, yet satisfying, and the poached egg was perfect according to my companion to whom I had generously bestowed the treasure to. I only tried one mussel from the Cioppino, but was told that the seafood were all excellent. 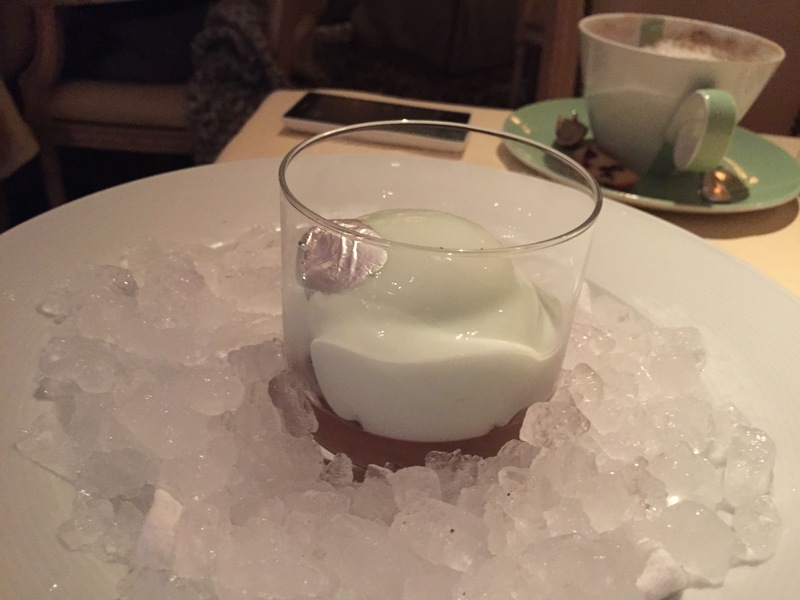 My chocolate parfait, presented on a bed of ice, was truly impressive in flavor and texture. I love the fact that it was not that sweet, but elegantly rich, and with bits of crunchiness. The chunks of grilled watermelon was probably cut out from the very center of the fruit since they were the reddest, and sweetest tasting. 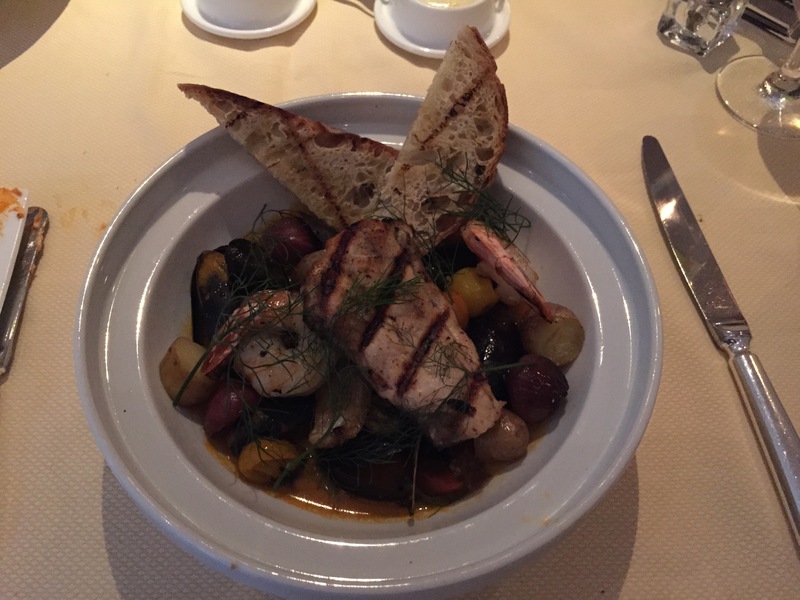 I must say that the food at the Belvedere exceeded some of the best, and better known restaurants that I had tried in the Los Angeles area, and I am so glad that it is indeed living up to the distinguished reputation of the Peninsula Hotel Group. 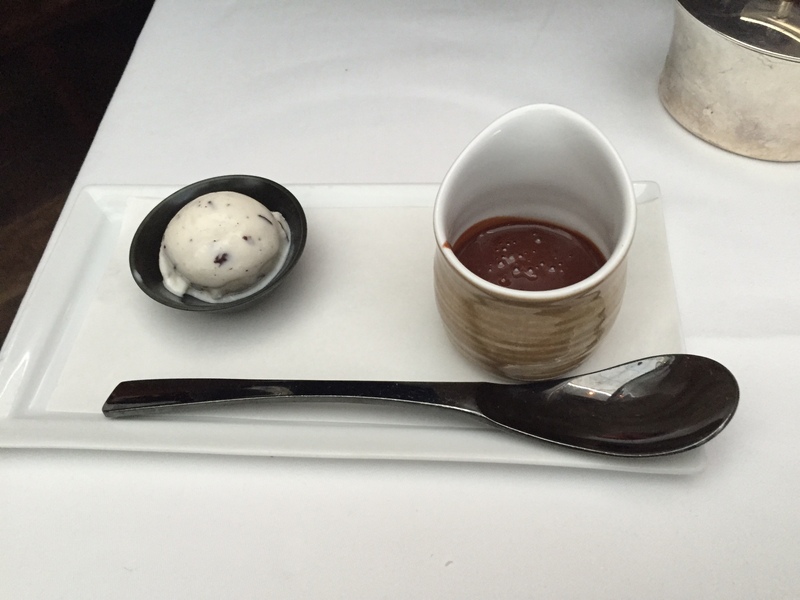 Spago – Wolfgang Puck, names that need no introduction. It was probably over 20 years ago that I was in Spago for the first time. Back then the restaurant was still at at the West Hollywood location. I don’t even recall how the food was, but it did not make too much of an impression for me back then. 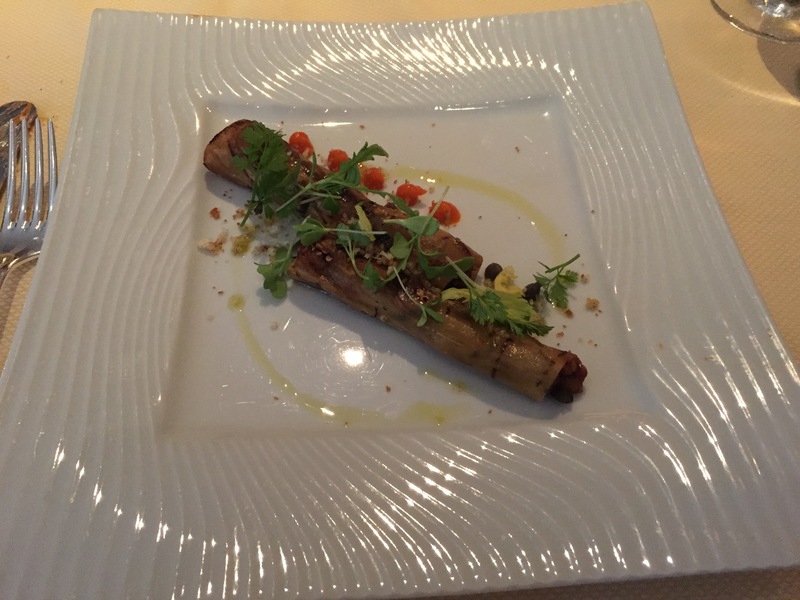 Still, I wanted to try Spago for a second time at the new location in Beverly Hills. I finally had the chance yesterday. I chose a Sunday since I know the traffic would be better. I managed to find a parking space on the street about 3 blocks away. 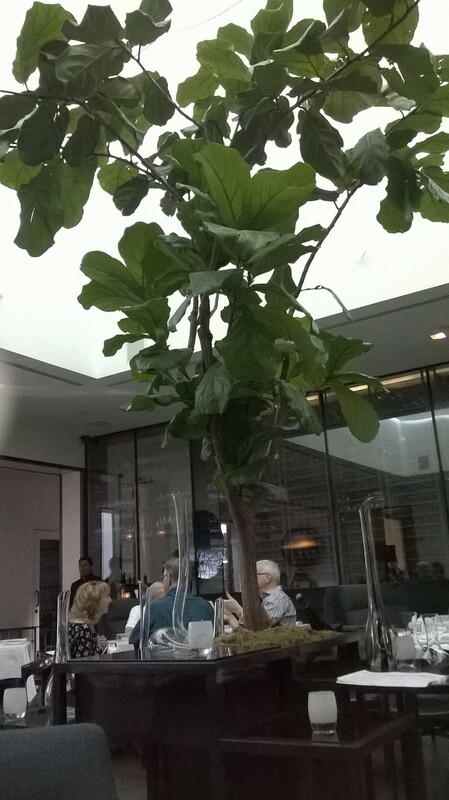 The interior of the restaurant felt airy and clean, it is probably one of the more comfortable setting I have been to in a while. There is an outside courtyard seating area. The inside of the restaurant is actually much bigger than it looks from the outside. Our waiter is a young fellow who seemed very easy going and made me feel quite at ease. 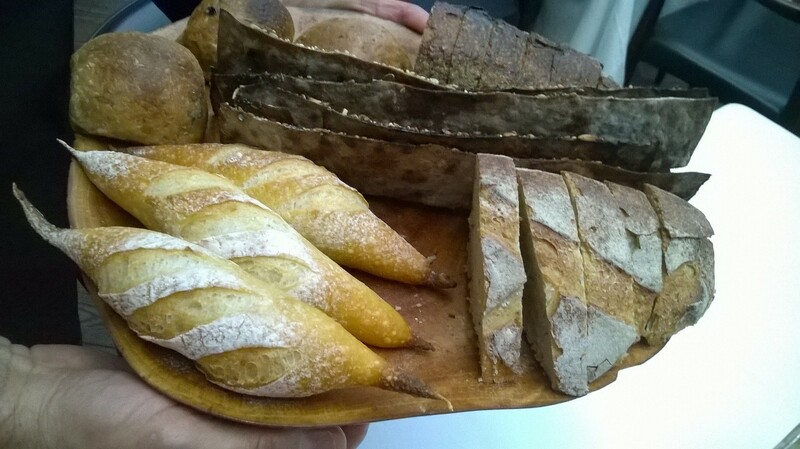 The older gentleman who brought me the bread and cappuccino seemed happy working there, and had a constant smile on his face. He was like a nice grandfather that made me feel relaxed and warm inside. I decided to ordered two pastas to start: the Handmade Agnolotti with Sweet Peas, and a Squid Ink Garganelli with Lobster. 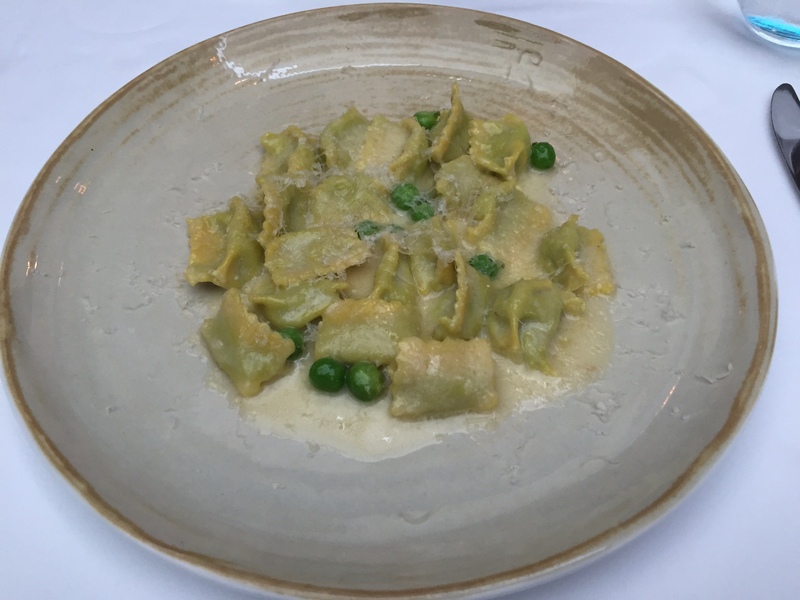 The Agnolotti w/sweet peas is a pasta dough folded over with the sweet peas fillings – the texture was elegantly smooth and velvety, rich but not heavy, with a slight sweetness, definitely one of the best pasta dish I have tried. 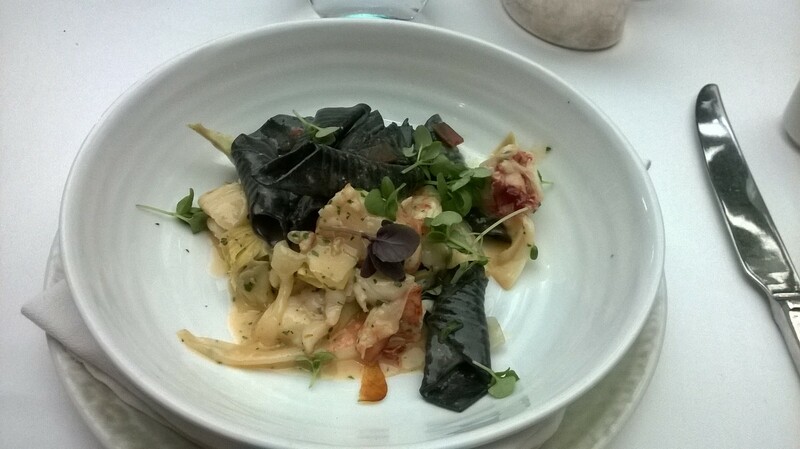 The Squid Ink pasta was equally good in its own way, light and delicate in taste. The lobster was delightfully tender and fresh. I had the Crispy Scale Maine Black Bass for my entree, while my companion had the Grilled Veal Chop (the waiter said that the veal chop is one of the Signature dish). 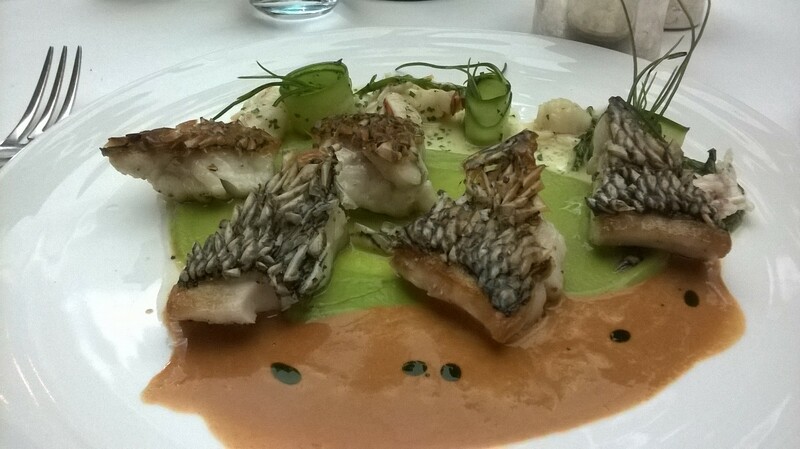 I thought that the fish was exquisitely done, the skin was crispy but not hard, and the flesh was cooked just perfectly, really an outstanding dish. The portion size of the Veal Chop was rather substantial. The meat was exceptionally flavorful, tender and juicy. 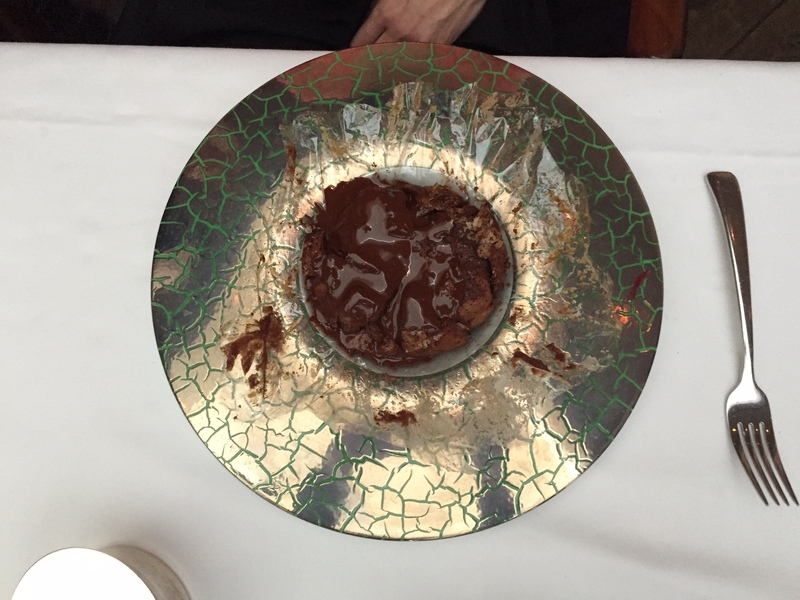 Even thought I was rather full by this time, I really wanted to try the Chocolate Souffle. The souffle was baked in a plastic punch so it was very moist. 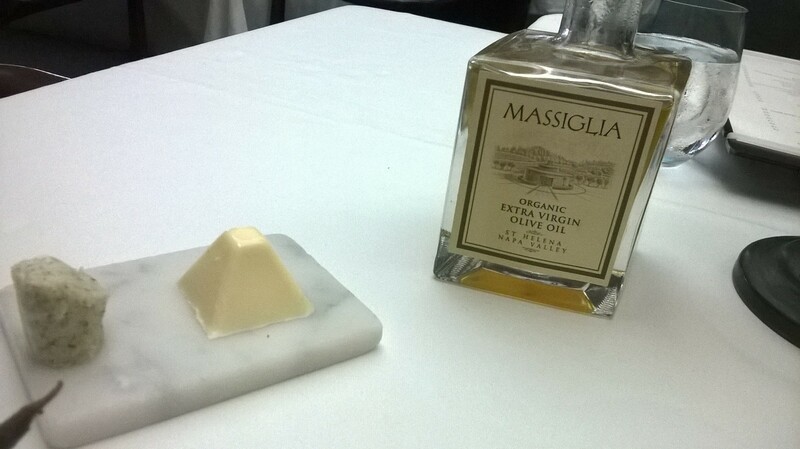 It came with a side of delicious chocolate sauce and gelato. The dessert was very rich, a tad too sweet, but I did manage to finish most of it.